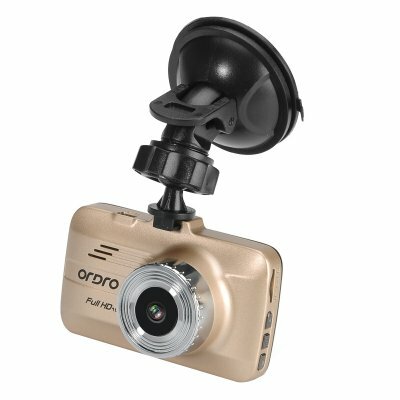 Successfully Added 720P HD Car DVR Camera - 120 Degree Wide Angle Lens, 1/3 CMOS Sensor, Motion Detection, 2.7 Inch Screen to your Shopping Cart. Keep an extra set of eyes on the road with the full HD car DVR. With a 120 degree wide angle lens, 720P resolution and 1/3 Inch CMOS sensor you will have that and more in a compact and portable form. Safety first. Anything can happen on the road, and it’s better to be prepared. The full HD car DVR can help you store evidence of what happened on the road – in case of an unfortunate traffic accident. You can also use it as a video camera and get beautiful footage from the road trip or catch moments on the camera that are worth YouTubing. This compact DVR will let you get high definition footage and take quality pictures thanks to the 1/3 inch CMOS sensor. With a 120 degree wide angle, you will also be able to catch plenty of background views and important details beyond the camera’s focus point. You can reply and review the footage on the DVR’s 2.7 inch LCD screen, as well as store important videos on the DVR’s micro SD card (up top 32GB). Other great features include motion detection and loop recording – making sure you will catch all the key moments on camera without overcrowding the DVR’s memory. This car DVR comes with a 12 months warranty. Brought to you by the leader in electronic devices as well as wholesale car DVRs..